The Loomcrofters building is believed to be the oldest building still in use on the St. John River. The oldest date found in the building is 1761 when it is thought to have been built by the British as a “Truck House” for trade. 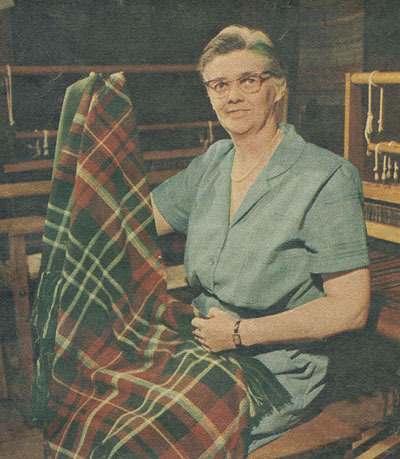 About 1945, M. Patricia Jenkins (1912-1985) moved the historic building to its current site and set it up as the primary weaving studio and retail shop for the Loomcrofters. 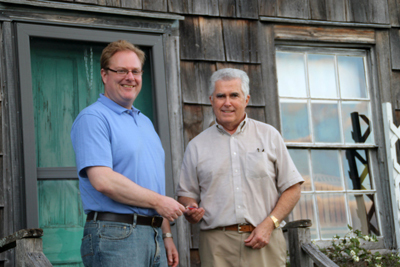 After being used as such for almost seventy years and becoming a signature cultural tourism destination in the village of Gagetown, the Studio is on the move again in 2014! Learn more about the Loomcrofters Studio. 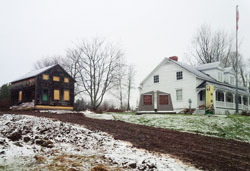 In August 2014 the Province of New Brunswick provided a sgnificant investment to assist with the physical move of the building to the grounds of the Tilley House, Front Street. In early December 2014, in a two and a half day process, the Studio was moved to the grounds of the Tilley House. Now settled on its new site and foundation, with your donation we can begin the task of repairing and stabilizing the structure on the new site, interpret the interior and tell the story of this significant arts and heritage landmark, conserve signature Loomcrofters textiles and archival documents, and develop educational and public programming opportunities. 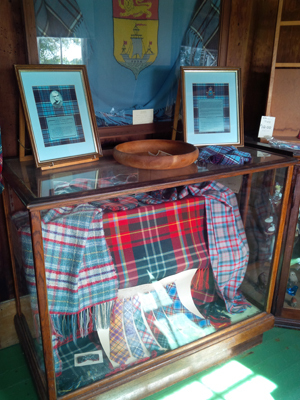 Queens County Heritage has always relied on the generosity of individuals like you to keep the legacy of our region's history alive, but the story is never ending and the Loomcrofters is also a part of the legacy of excellence which needs to be preserved. We know the walls can’t talk, but with your help, we can continue to tell to our many visitors the stories of public service, accomplishment, innovation and creativity that took place in this historic building. Please consider making a donation today. 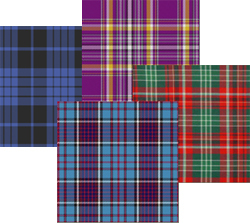 • Choose not to receive the benefit and your tax receipt will reflect the total of your gift. OR choose to take advantage of the benefit and your tax receipt is adjusted to reflect the cost of the benefit package. Donations may also be made via regular mail: 69 Front Street, Gagetown, NB, E5M 1A4. 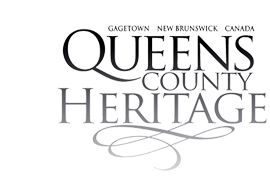 Please be sure to make cheques payable to Queens County Heritage.